At one time, encyclopedias were venerated as ultimate sources of knowledge. People saw the value in investing in these massive multi-volume sets and enjoyed the convenience and status of having a reference section in the comfort of their living room. Ordered through the post or from a door-to-door salesman, acquiring an encyclopedia was a commitment to education and learning. These days, we have an overload of information at our fingertips and as a result, even the most well-known purveyor decided to halt 244 years of print production in favour of offering an online alternative. Certainly, with Pinterest and Instagram and blog posts and podcasts, there is no shortage of visual inspiration for creatives. But as makers, we appreciate—we yearn—for the tangible. And we crave high quality content that is lovingly curated instead of coming to us in random bits. Coveting, owning and holding a beautiful and informative ink-on-paper inspiring tome… now that’s something that can’t be experienced virtually. 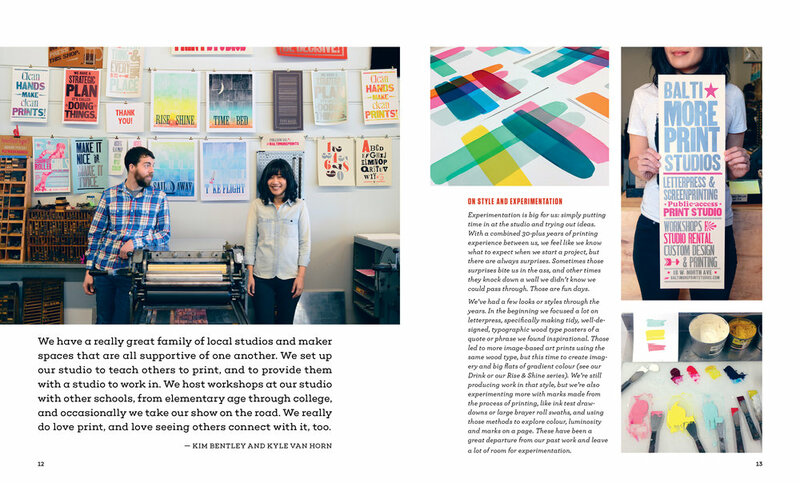 Profiles of designers, artists and craftspeople who use printmaking and print technology to make things for themselves and others. 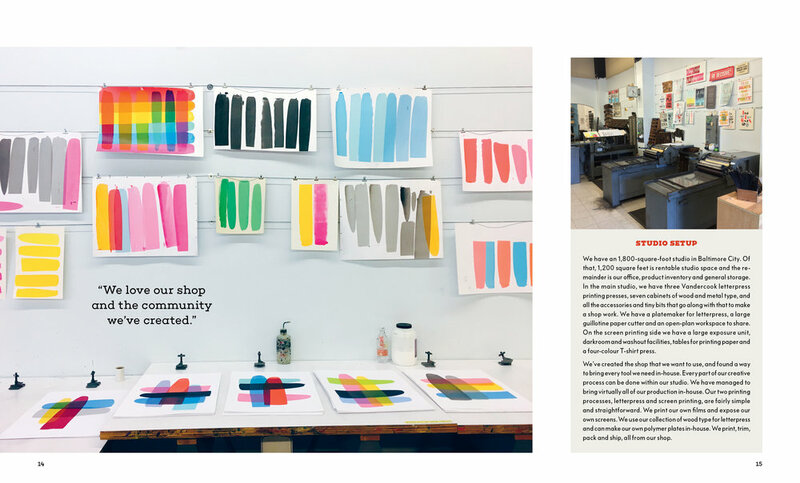 This book includes in-depth interviews with printers, stationers, publishers, zine-makers, homeware and clothing designers through studio pictures, portfolios and sound advice from print/makers from around the world. Featuring collage artists, illustrators, type designers, graphic designers, creative entrepreneurs and more sharing favourites from their vast ephemera collections but also how their love of ephemera helps them create their art, express their creativity and earn a living. Full of gorgeous old papers, intriguingly distressed found bits and pieces, astounding objects of design from years past, nostalgic mementos and typographic treasures. These people and businesses have immersed themselves in the aesthetics, technologies and trends of bygone eras. Vintage sellers and dealers, collectors, interior decorators, stylists, writers, musicians and creative souls. When living in the past is the only way to be! A celebration of the beauty of quilts and how they appeal to our creativity and emotions. 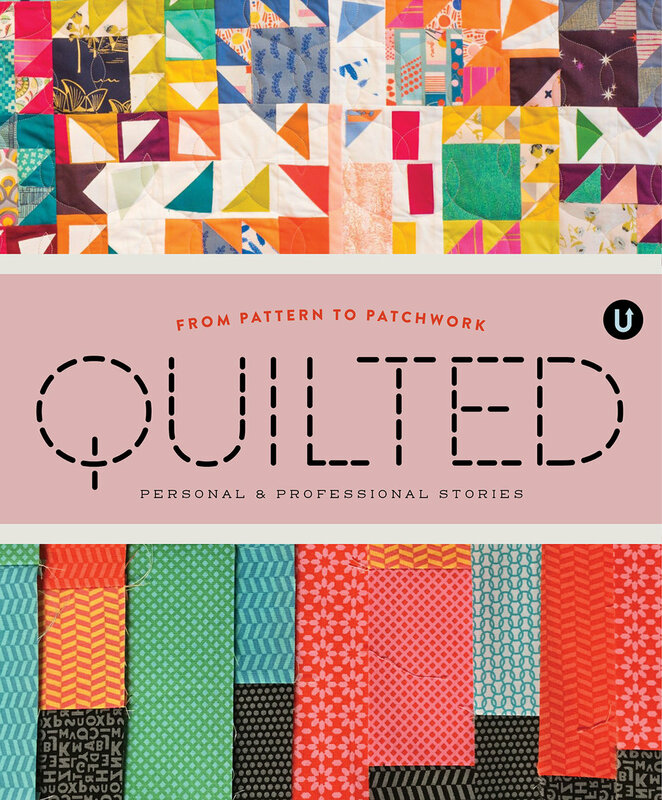 From nostalgic heirlooms to celebrating quilting failures to designing, making, improvising— plus a look at how quilting cottons are designed and manufactured—Quilted is a behind-the-scenes look at a tradition and an industry. Prices shown are in Canadian dollars, so our American friends will benefit from an exchange rate in your favour. Payment can be made via credit card or Paypal; your payment method will do the currency conversion for you. Dust jacket art by Katharine Watson, Starshaped Press, Clawhammer Press and Angie Lewin. 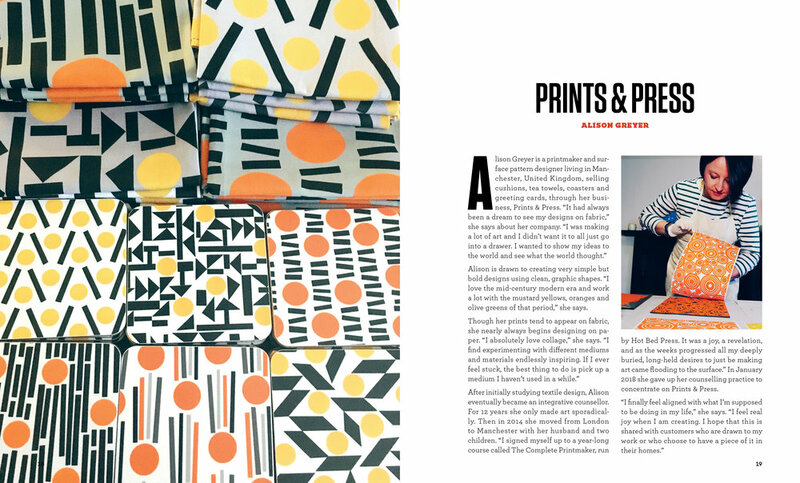 Top photo by Michelle Geller, Ephemera typeface by Louise Fili (Montecatini) and bottom photo by Margaret Schlecht. Ephemera is a beautiful book! 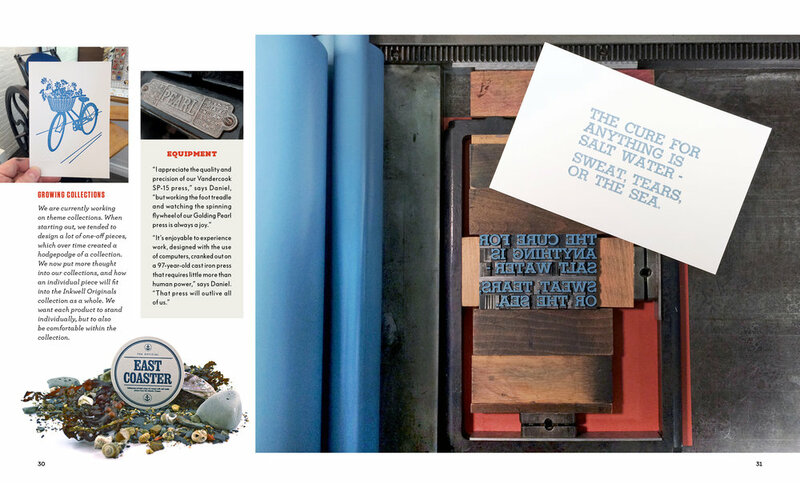 It's a big one—448 pages—full of gorgeous old papers, intriguingly distressed found bits and pieces, astounding objects of design from years past, nostalgic mementos and typographic treasures. 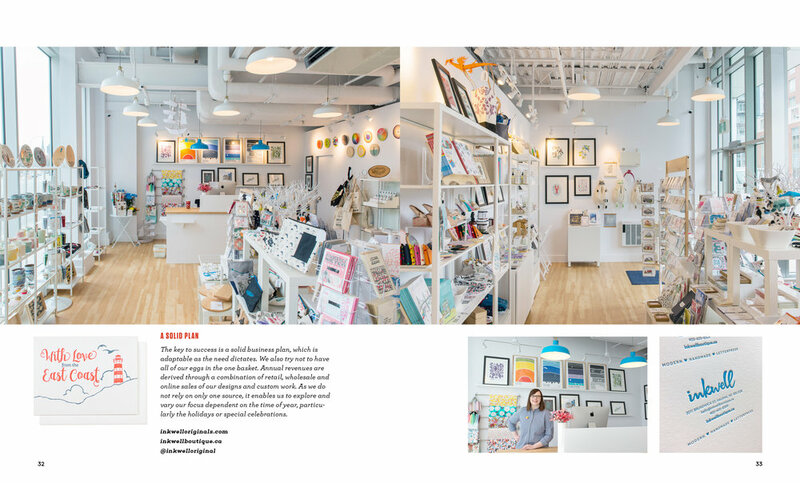 Each of the profiled collectors not only shares favourites from their collections but also how their love of ephemera helps them create their art, express their creativity and earn a living. The dust jacket can be folded four different ways! Here’s a lovely review of the book. The first three volumes of the Encyclopedia. Each book has a dust jacket that can be folded in four different ways. There's also a paper belly band that wraps around the book to brand the series. 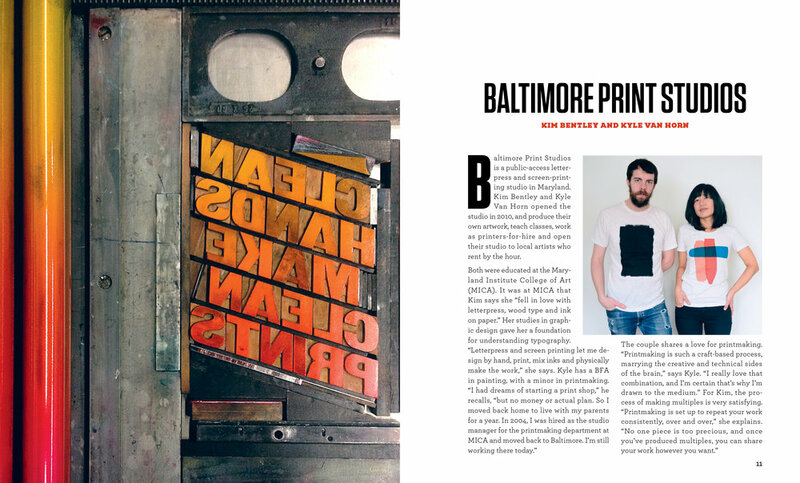 Making beautiful books and magazines is what I do. ♥ Every day. It is because of your generous pre-orders that this book series continues. Vintage Life and Quilted will be released in 2019. 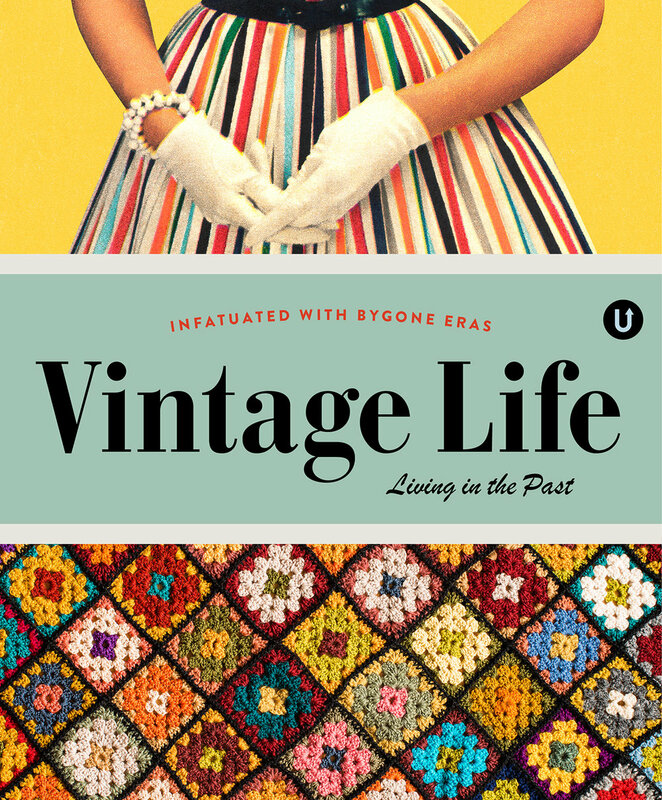 Auditions for Vintage Life and Quilted will be announced via my weekly newsletter. I will keep you up-to-date of the fundraising and project progress via my weekly newsletter. 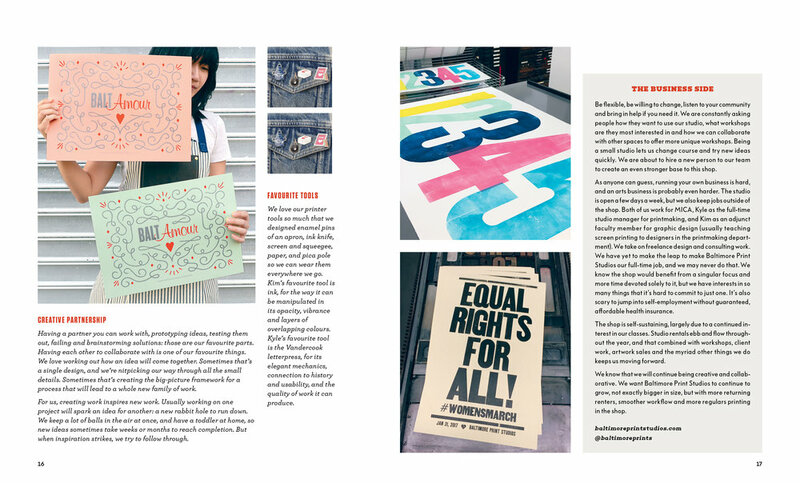 UPPERCASE has a clear passion for producing unique, high quality books. With my affection for books entitled “directories” and “compendiums”, the UPPERCASE Encyclopedia of Inspiration is a natural progression. A book set released volume by volume is also a fitting companion to the subscription model we offer through UPPERCASE magazine. 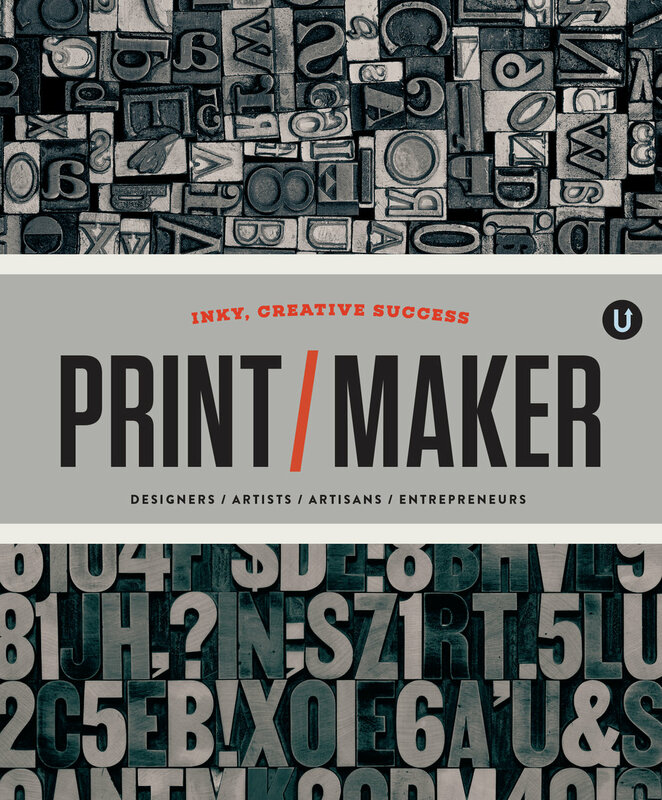 UPPERCASE has a great track record for creating quality books and magazines. The magazine has been published consistently every quarter since spring 2009. I've also independently published 15 books in the past ten years, from small companions to gallery exhibitions to big hardcover books. In 2015, I released an epic hardcover book entitled The Typewriter: a Graphic History of the Beloved Machine as well as the 384-page multi-covered UPPERCASE Compendium of Craft & Creativity. The first three Encyclopedia volumes were completed and delivered within less than two years. 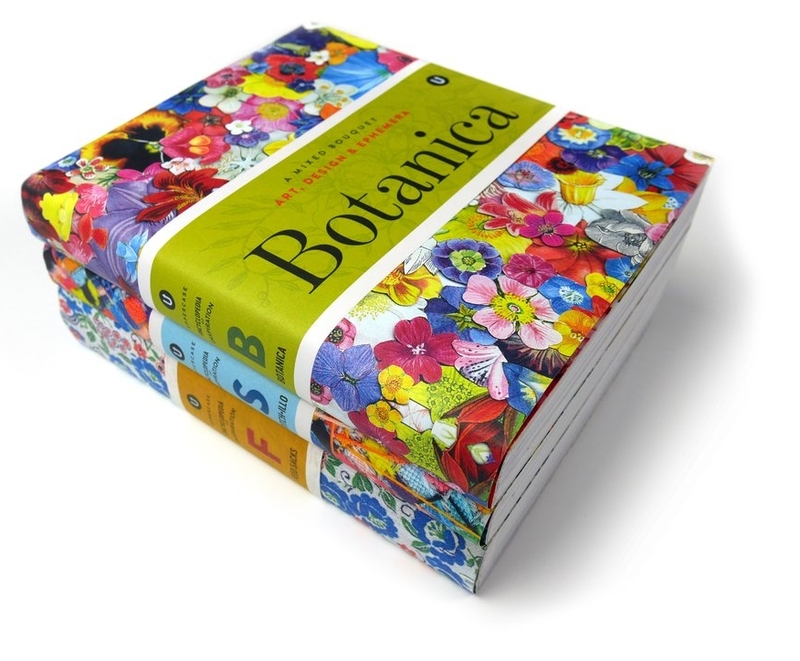 Feed Sacks has since sold out and Botanica has just a few remaining copies from its print run. UPPERCASE has a proven track record of getting things done! I'm Janine Vangool. I publish books and magazines for the creative and curious: products that spark the imagination and inspire creativity. My background is as a graphic designer and my desire to create books from concept to design to production stems from my complete love of books. Holding and admiring them as objects, and writing, reading, learning and loving the entire book experience. I love stepping into the worlds created within their pages. UPPERCASE has the best readers in the world! In April 2016, I embarked on the start of what I hoped would be an ongoing project: the UPPERCASE Encyclopedia of Inspiration. Due to generous support of enthusiastic readers from around the world, the first three volumes(Feed Sacks, Stitch*illo and Botanica) were crowdfunded successfully through pre-orders. Because of you, these fine books were written, designed and published and have been well-received by readers around the world. Thank you! Purchase the first three volumes as a set or individually in the shop. "Your new Encyclopedias are a dream!" 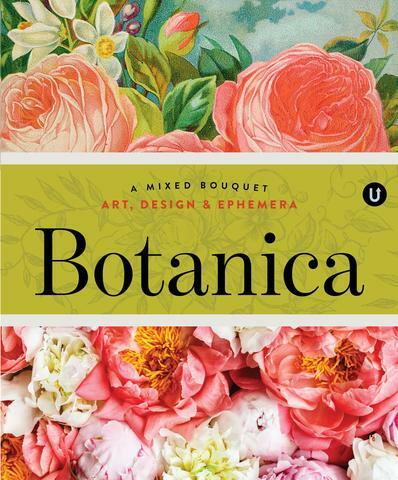 "I just received the gorgeous Botanica book and it is beyond anything I imagined. Thank you so much for such a lovely, inspirational tome — I know I will go back into the pages over and over for what very well may be the most beautiful and inspiring book I've ever had." 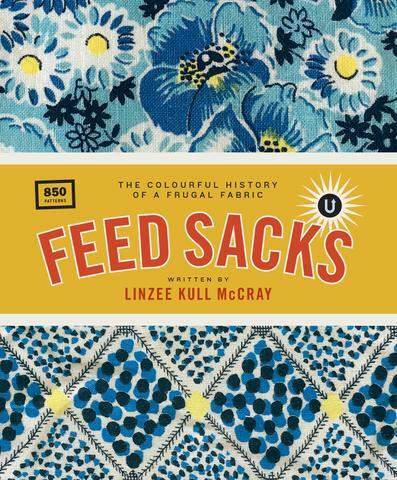 "The history of feed sacks may sound dry, but McCray lavishly pairs spare but eloquent text with hundreds of illustrations and photos in this fascinating stroll through American domestic history." "I want to savour it slowly and make the pleasure last — I am sure this book is my absolute dream come true. Thank you for doing a divine job, for your warm enthusiasm in all you do and for the outstanding quality of your work." 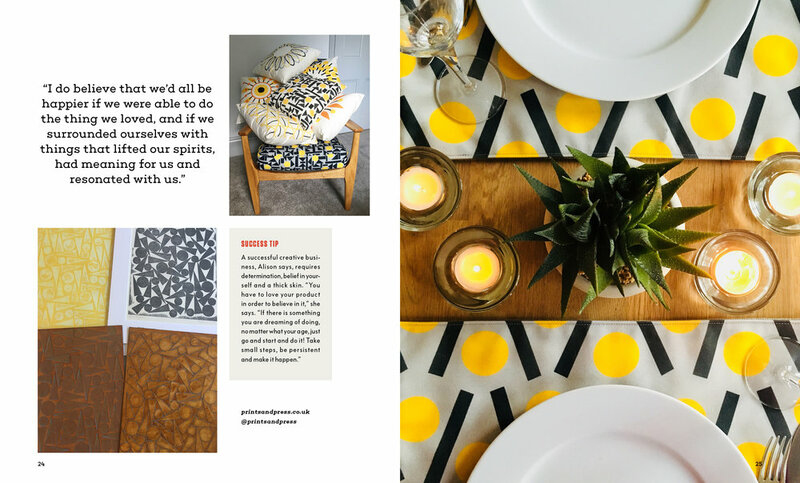 "This book is used for browsing, spotting a style of work that is of interest or totally different to the one you are used to using and then learning a little more about it. The aim of the series speaks for itself." —Gillian V.